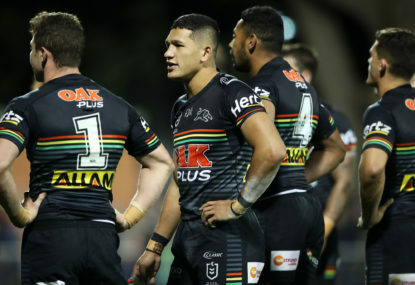 Cleary has emerged as the Panthers’ No.1 target despite the fact he still has two years to run on his NRL contract at the joint venture. Tigers CEO Justin Pascoe told AAP he would not consider granting Cleary an early release with the highly respected coach in the second year of his three-and-a-half year deal. “No mate we would not,” Pascoe said when asked if they would consider letting Cleary go. 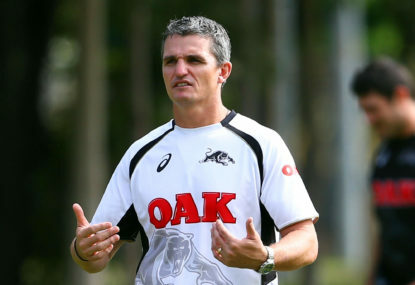 It’s understood that Cleary has spoken to Panthers officials in the last few weeks and is the club’s No.1 target due to his relationship with his son, Panthers halfback Nathan. It would be an about-face from Cleary for him to cut-and-run on the Tigers and not see out the rebuild he began after taking over from Jason Taylor in April last year. 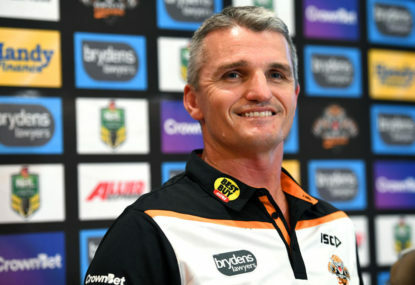 In his first press conference since taking the Tigers job last year, he famously told several of the club’s wantaway stars including James Tedesco, Aaron Woods and Mitchell Moses that they needed to get “on the bus”. Cleary last week reiterated his desire to work with Nathan at some point during his career. Nathan is off contract at the end of 2019 and under NRL rules will be able to negotiate with rival clubs from November 1. The Blues State of Origin No.7 said he will consider his next career move on his 21st birthday in mid-November. Should the Panthers snag Cleary, it would virtually ensure Nathan, considered a once-in-a-generation talent, would remain at the Panthers. 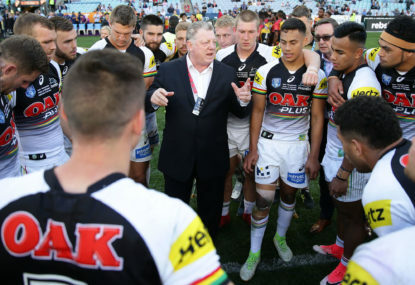 There are several sticking points, in particular the Tigers’ willingness to let him go and Cleary’s relationship with the Panthers after he was sacked less than three years ago. 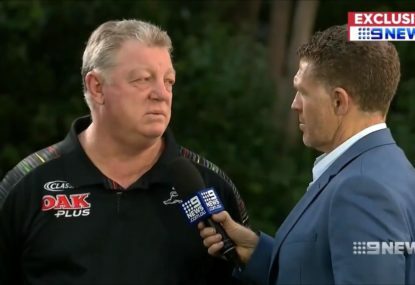 Panthers general manager Phil Gould denied his relationship with Cleary had soured after he was axed following the 2015 season. “I don’t see him all that often but I’ve got no problem with Ivan. “I’ve known him for 25 years. The Ivan decision was made in his best interests and my best interests.